I have recently inspected and interesting residential property in the heart of French countryside. The house was a two storeys building with render stone walls and pitched tiled roof. It consisted of a kitchen and a dining room area and the new extension sitting room and an electric cupboard. The new extension was a conversion of an old workshop area. The building’s stone walls were exposed to the lower part of the building. The external walls were rendered with modern rendering on three sides except of the South-West side to a pitched roofed open storage area. The building perimeter walls were 55cm wide to the kitchen and to the dinner and 50cm wide in the sitting room area. I have made a quick inspection of the property and it quickly became apparent that the problems are confined to the ground floor and particular to the newly converted part of the building. 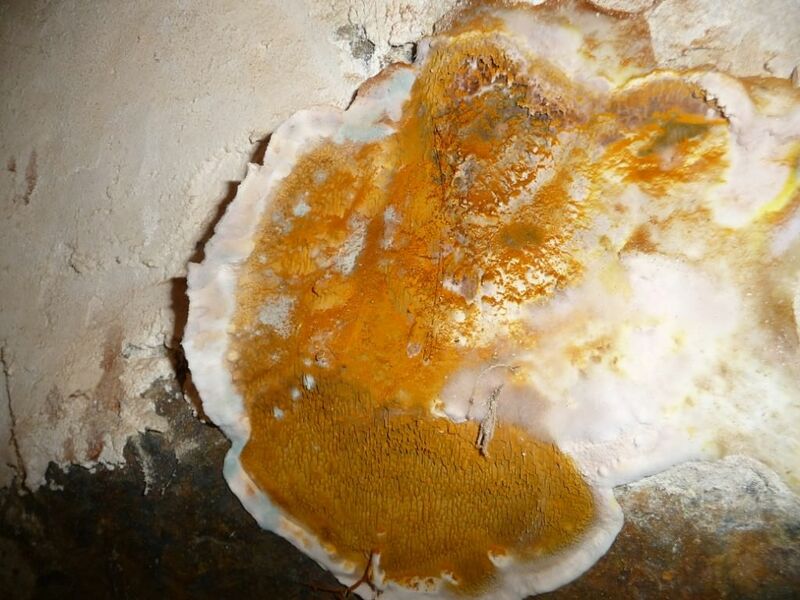 These areas were affected by strong fugal odours, staining on the walls and visible mushroom growths on the walls. The first room I have inspected was the dining room is located in the centre of the building and in the old part of the house. The room was 5.7 metres long, 4.6 metres wide and 2.4 metres high. The floor construction in this area was unknown and not accessible for inspection. The floor has ceramic tiles with 15cm soft wood skirting boards around the perimeter of the room. Walls were plaster to stone wall and ceiling was plasterboard. The moisture testing of the floor shows uniform moisture distribution with low variation (0-15%) between different areas with the exception of the small areas around the door. This area very high moisture content approximately 20cm into the room. Internal plaster wall appear to be in reasonably good condition but signs of efflorescence (mineral deposition) have been observed to lower parts of the walls. The presence of efflorescence was indicative of water transport through the structure of the wall. Moisture measurements of the walls shows elevated moisture content to about 1m height which is consistent with rising damp. 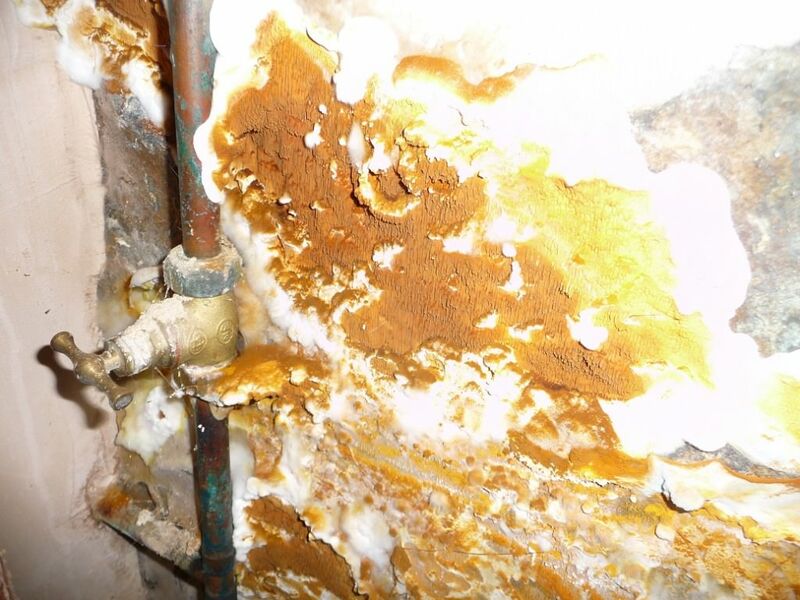 Also some efflorescence and some minor mould spotting to walls have been observed the effect of rising damp in this part of the building was not significant at the time of the inspection. The decorative skirting boards are in good condition however they showed twice the moisture content when compared with skirting boards on the first floor. 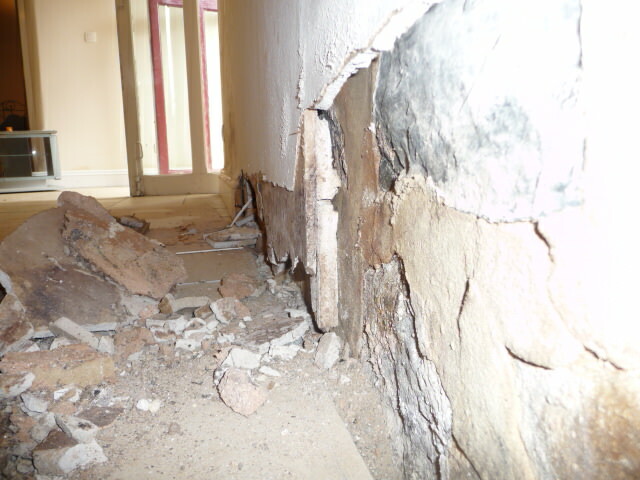 It is likely that over time fungal rot will affect these skirting boards as well. After I have completed the inspection of the dining room I have moved on into the most affected conversion serving as the sitting room. The room was located in the South-West end of the building in a former dirt floor workshop area. The room was 7.3 meters long, 4.6 meters wide and 2.4 meters high. It had large double doors in the North-East wall to the dining room, large double door in the South –East wall to the outside, window to the South-East wall and small high level window to the South-West wall. The floor was ceramic tiles laid onto 4cm concrete screed (measured in the electric cupboard) offset from the perimeter walls by a 3cm gap. The floor- wall junction is fitted with 15cm high soft wood skirting boards. Internal walls are made of 12mm paper lined plasterboard panelling attached to the stone walls by plaster joints with approximately 1cm wall cavity. Underlying stone walls are untreated and exposed. The floor structure in this part of the building was unique, so comparison with flooring in other areas is difficult; however the relative moisture content measurements showed non-uniform moisture distribution in the floor with 30-40% variation between different parts. Inspection along the wall showed ceramic tiling to 4cm concrete screed to concrete base. Concrete screed was also offset from the stone wall by approximately 3cm. There was no evidence of damp proof membrane between the concrete screed and the concrete base. 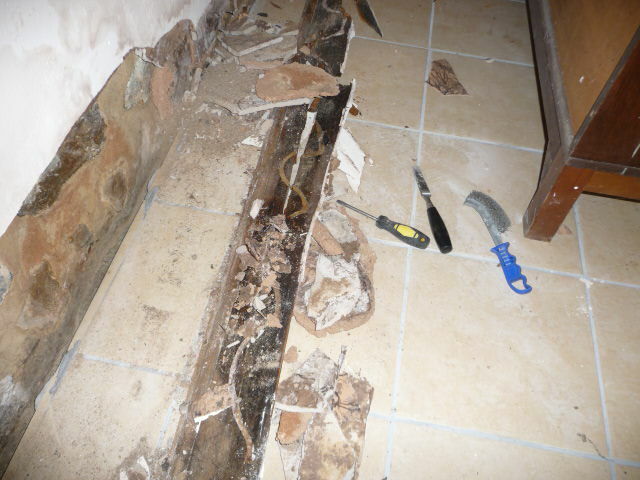 The presences of damp proof membrane under the concrete base could not be confirmed. However the concrete base appears to join the stone perimeter wall directly. Subjectively the internal surface of the exposed stone walls and concrete base appear to be damp. 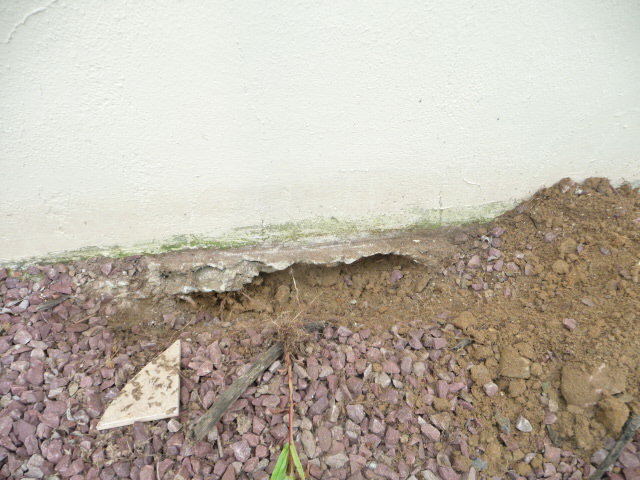 The inspection of the external side of the perimeter stone wall did not confirm the presence of damp proof membrane. Bituminous damp proof coating has only been applied to the lower part of the wall up to the gravel/soil surface level but does not continue below the ground level. There appears to be a rising damp affecting the wall construction in this part of the building. It appears that the moisture rises through the stone wall and concrete base than saturates the plaster joints used to attach the plasterboard panels and finally reaches and saturates the plasterboard panelling itself. 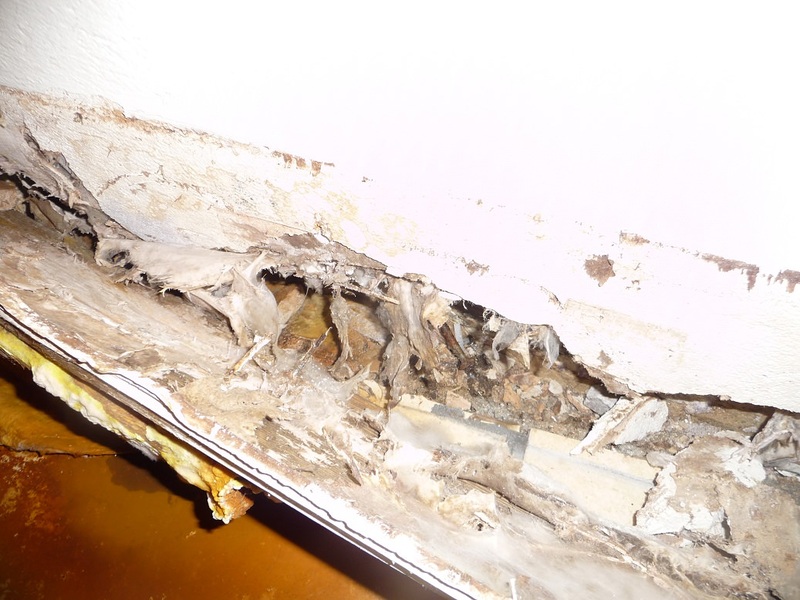 Mould and wood rot has been observed on the internal paper layer of the plasterboard panelling and internal parts of skirting boards. 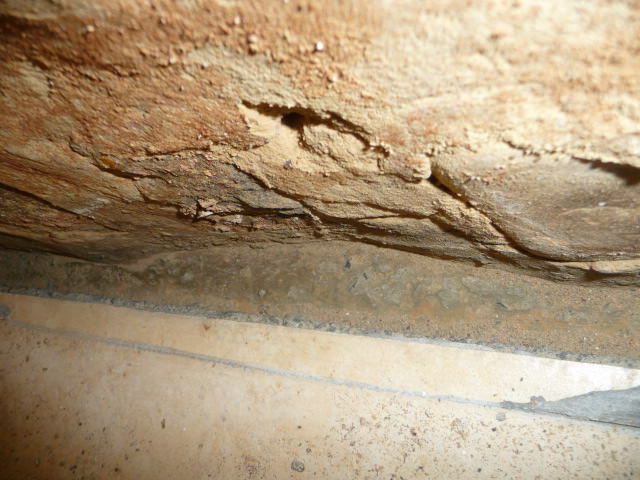 The fungal decay most prominent in the areas immediately above and surrounding the plaster joints and in particular in lower parts of the walls. 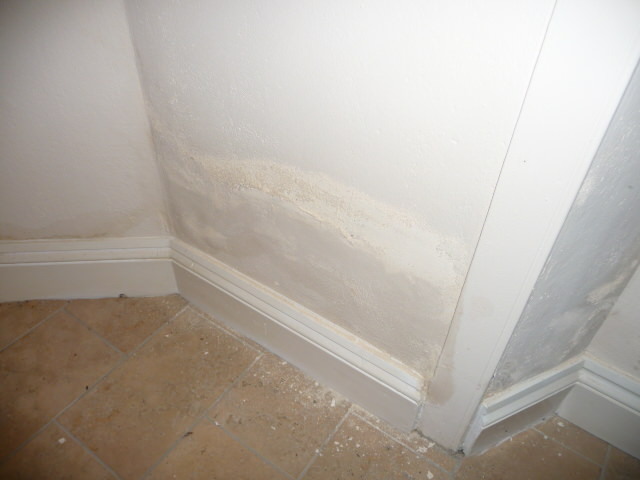 The effect of rising damp and subsequent fungal decay is most pronounced to the South-West back wall, major but less pronounced to the South-East wall and present but largely invisible to the North-West wall. 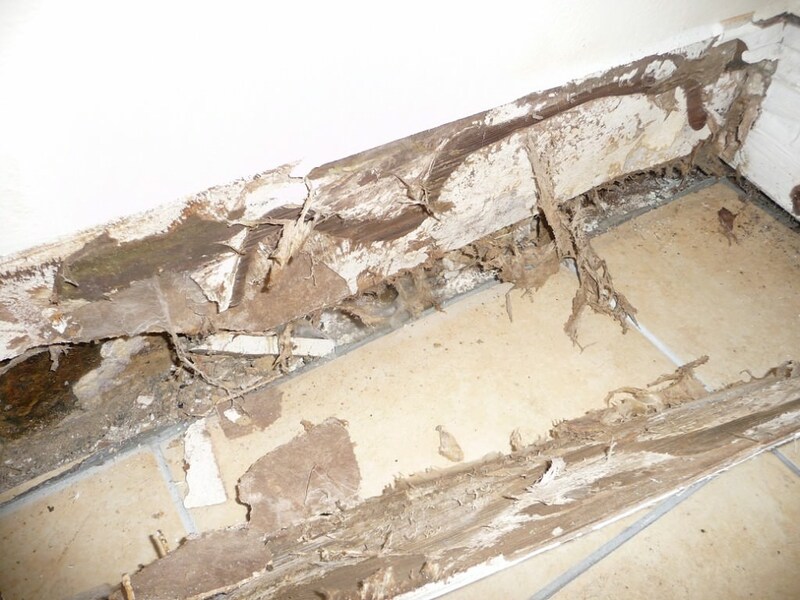 Skirting boars in the room were all decayed beyond the point a treatment would be effective and will had to be replaced, Integrity of plasterboard panelling was significantly reduced and most internal surfaces were colonised by fungal growth. 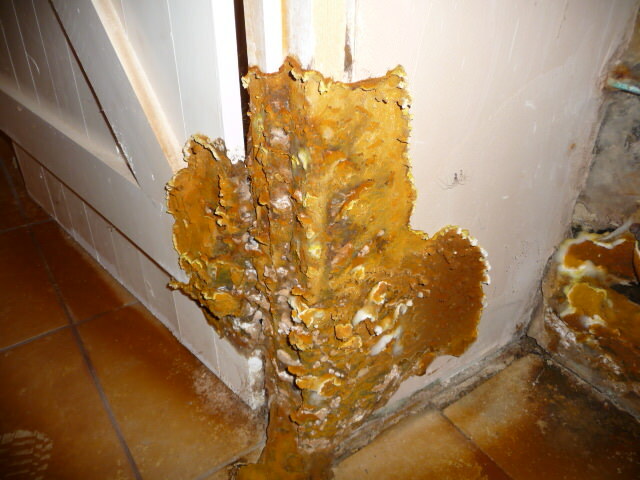 The fungal rot was caused by a typical dry rot fungus Meriliporia incassate in combination with Serpula lacrymans. The doors to the electric cupboard were affected by dry wood rot and had to be removed. Part of the door frame (Touching South-East wall) was decayed beyond the point of repair and had to be removed. The top and internal part of the doorframe was unaffected. Internal North-East wall in this room appeared to be least affected, the skirting boards were in reasonably good condition. However sings of efflorescence (Mineral deposition) were observed to the bottom part of the wall suggesting that the rising damp problem was also affecting this part of the building but to a much lesser extent. It could be assumed that over time the plastering and skirting boards on this wall will also succumb to fungal rot. 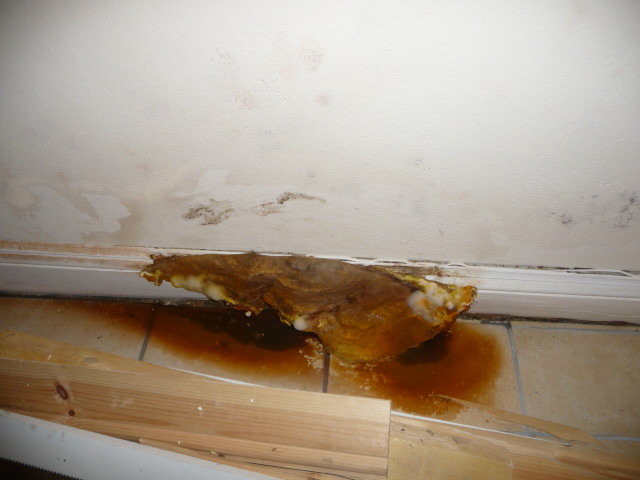 The root cause of the fungal decay appears to be rising damp through the wall construction, lack of damp proofing and unsuitable wall construction. To rectify the problem I have recommended removing all affected materials and cleaning the internal walls from fungal residue. 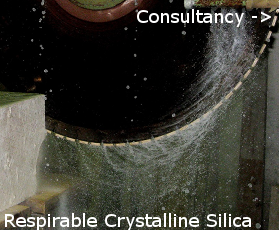 To apply strong long lasting antifungal solution to internal stone walls followed by application of bituminous damp proofing the high of at least 2 meters but preferably to the level of the ceiling. The new plasterboard partition walls should be constructed with at least 2.5cm ventilation gap between the plasterboard and wall surface and ventilation vents should be installed to the bottom and to the top of the wall.